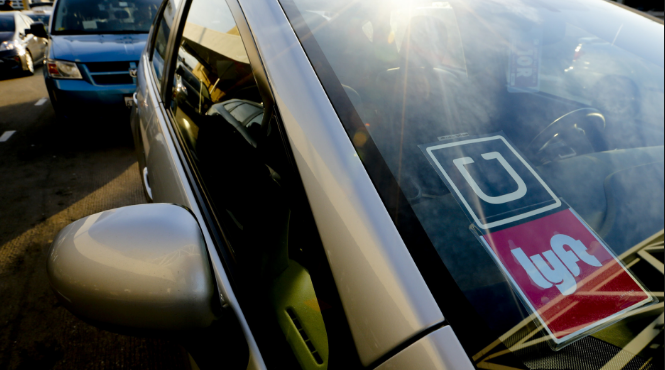 You've probably heard about Uber and Lyft. They are ridesharing services that let smartphone users request and pay for rides using an app. Both service are growing fast because people are learning how easy and convenient they are and because they continue to expand their coverage areas. In addition to major cities around the world, Uber and Lyft are also moving into college towns and smaller cities. 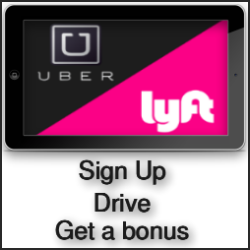 That means both service need more drivers and both are offering sign-up bonuses, as much $500 in some cases. Fill out this application for Lyft. 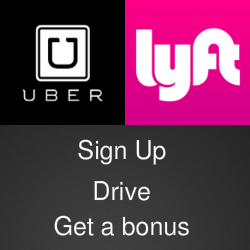 I’ve been driving for Uber and Lyft for more than two years and driving has turned out to be a great option for a part-time job that lets you be your own boss and set your own hours. All you need is a reasonably new four-door car, the ability to pass a background check and a friendly personality. I’ve been very pleased with the income I’ve made and the people I’ve met. If you have questions I can answer, feel free to send me an email. You might also check out The Rideshare Guy blog where Harry and his contributors post news about the rideshare business and share their experiences. There are no set hours. Day or night, you’ll always start & stop on your time and you get to decide how often you want to drive and earn. The Uber GPS provides clear directions around town with easy to follow turn-by-turn navigation. There are partner discounts on gas, auto maintenance and phone plans plus insurance coverage rideshare trip. Lyft matches drivers with passengers who request rides through our smartphone app, and passengers pay automatically through the app. Whether you’re trying to offset costs of your car, cover this month’s bills, or fund your dreams, Lyft will get you there. So, go ahead. Be your own boss. The Lyft app for riders includes an option to tip the driver and drivers get to keep the whole amount. The Lyft community is full of awesome, friendly people — passengers and drivers alike. The small print disclaimer: This is not an official page or or advertisement for Uber or Lyft. It’s an article written by this blog’s owner who may get an affiliate commission for the people he refers.